“At the moment, the officer has decided to stay with his men and machines in Srinagar,” a source told ANI. Wing Commander Abhinandan Varthaman, who returned to India on March 1 after being captured and spending two days in Pakistani custody, has chosen to be with his squadron in Srinagar to spend the remaining days of his four-week leave, according to reports. Following his return, Wg Cdr Abhinandan was sent on sick leave for four weeks after he completed medical procedures. It is up to him to decide where he would like to be during that period. “Varthaman could have gone to his family home in Chennai to spend time with his parents. But he chose to go to Srinagar where his squadron is based,” sources told PTI. 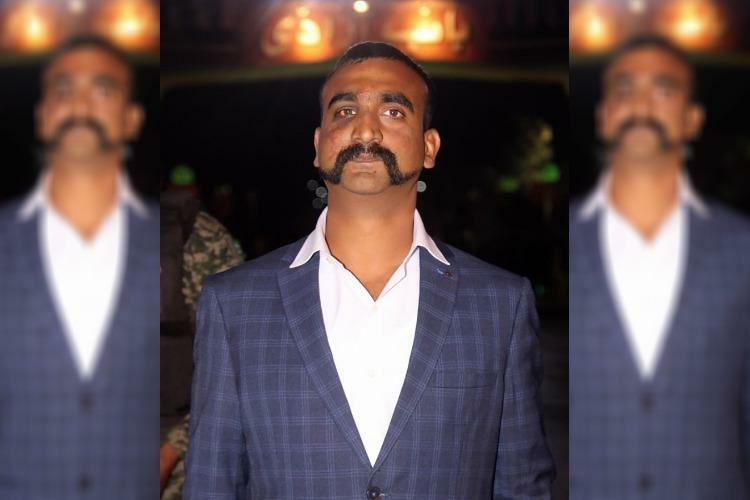 Once his sick leave is completed, Abhinandan will be tested to determine whether he is fit to fly a fighter jet again. “At the moment, the officer has decided to stay with his men and machines in Srinagar and will be required to come back from New Delhi for a review by the medical board, which will decide on his fitness for flying fighter planes,” sources in the Indian Air Force told ANI. On February 27, the Wing Commander had reportedly brought down an F-16 jet of the Pakistan Air Force before his aircraft received hits and was brought down. He was apprehended by officials of the Pakistani Army on the same day and taken into custody. The fighter pilot had sustained a rib fracture, a back contusion and some bruises, the Economic Times reported. “When one goes through an ejection, the load on your spine increases about 16 to 17 times your body weight. So you tend to cause some damage to the spine. Hence, for recovery, we give time. If the damage is major, once he is okay, he may be flying helicopters or transport aircraft,” Retd Air Marshal PK Barbora told TNM earlier.